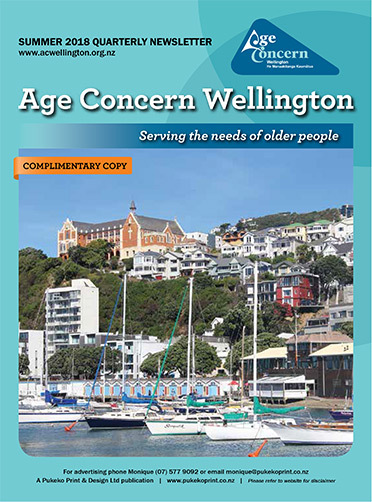 Age Concern Wellington exists to promote the rights, wellbeing and quality of life for older people in the Wellington region and to promote positive attitudes to ageing in the community. An accredited volunteer visitor service that offers friendship for older people who would like more company. 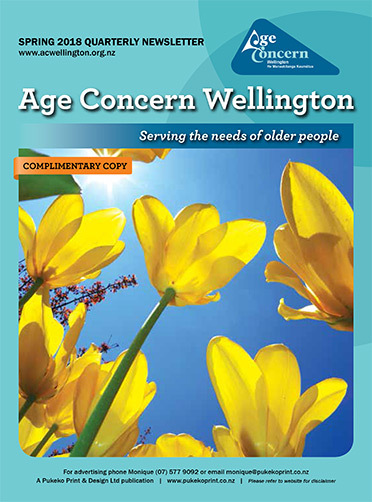 A Community Support Service to help solve problems, explore options and suggest positive outcomes for older people. Steady As You Go Classes - SAYGo improves balance and leg strength, flexibility, general fitness and well-being, and is a great way to meet new people. Weekly classes led, initially, by a trained facilitator and then transition to a peer-led group. Safe With Age Driving Courses for the mature road user. 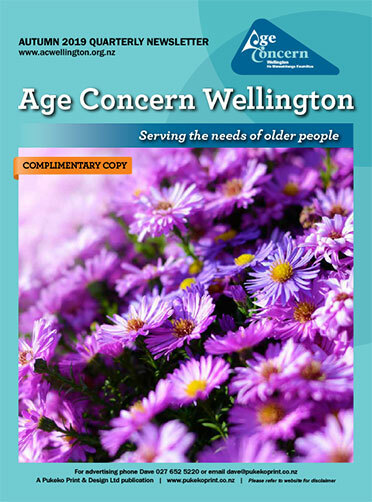 We work with local authorities (Porirua, Hutt City, Upper Hutt and Wellington), health and housing providers and a wide range of voluntary and advocacy groups. Click on the covers below to read the magazines online or download to your computer.